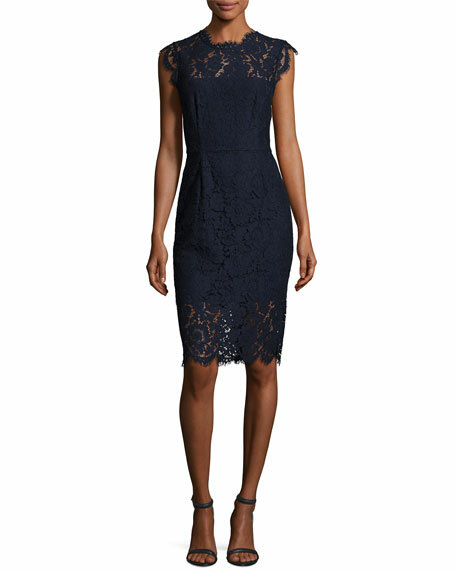 Rachel Zoe "Suzette" dress in floral lace with scalloped edges. Approx. 34"L from shoulder to hem (size 4). High neckline with sheer yoke. Nips at the natural waist. Rachel Zoe answers our 5 Questions. 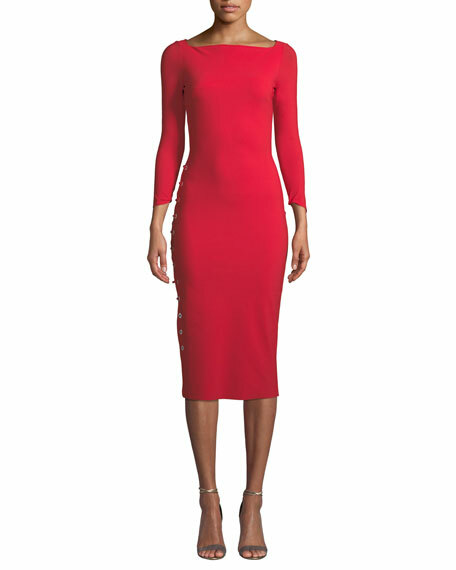 For in-store inquiries, use sku #1853869. 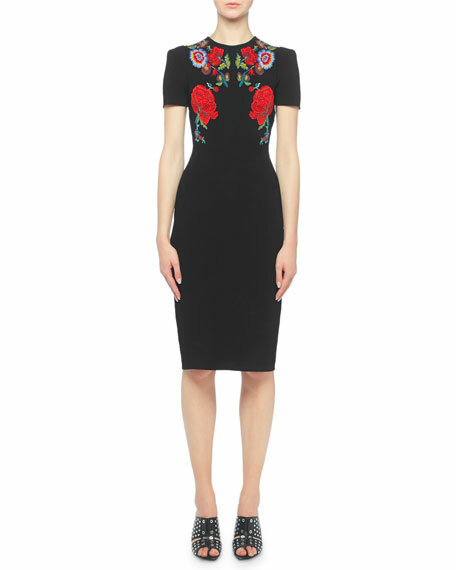 Alexander McQueen dress in with placed, engineered floral jacquard. Crew neckline. Puffed short sleeves. Sheath silhouette. Knee length. Keyhole behind neck. Viscose/silk/polyester/nylon. Trim, polyester/silk/viscose. Dry clean. Made in Italy. Exclusively ours. 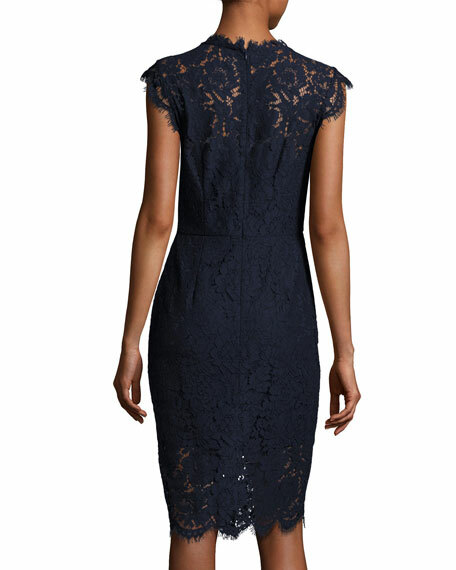 Chiara Boni La Petite Robe "Prudencia" dress with laced side. Bateau neckline. Three-quarter sleeves. Body-conscious silhouette. Raw-edge hem for ease of tailoring. Laced side at right. Below-knee length. Step-in style. Nylon/spandex. Made in Italy. 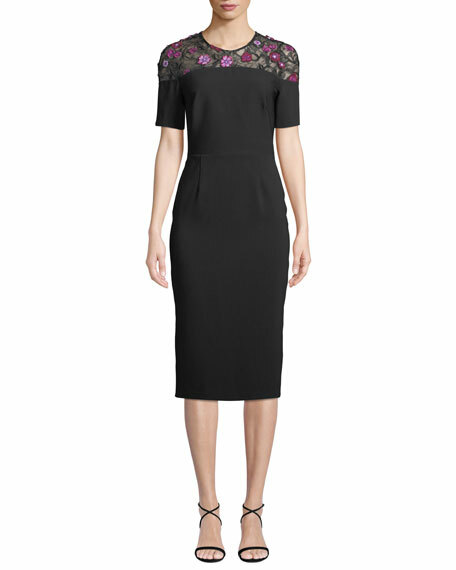 Jason Wu cocktail dress in jersey. V neckline with eyelash lace trim. Sleeveless. Draped sheath silhouette. Knee length. Thigh-high slit. Rayon/nylon/polyurethane. Lining, silk/Lycra spandex. Made in USA of imported material.